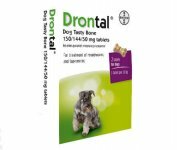 Drontal Worming Tablets For Dogs is effective in the control of gastrointestinal Tapeworms and Roundworms in both their adult and immature forms and also mature Hookworms and Whipworms in dogs, all of which are present in the UK and puppies. 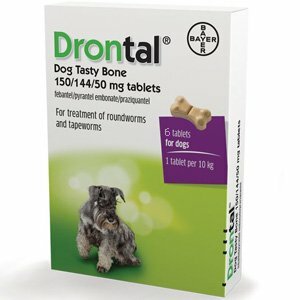 A dog infected with worms may show some symptoms like irritation of the bottom, which is a sign of tapeworm problems, dragging the bottom across the ground could be your dog's way of telling you their may be a problem. There are a few other signs such as: vomiting, a dull coat, a lack of vitality, perhaps they are off their food or a pot bellied appearance, which would be more common in puppies. If your dog is showing any behaviour you are not absolutely certain about we would suggest you contact your vet as soon as possible. However these signs are not always common, and in the early stages of infection possibly non existent, in fact dogs infected with worms may be showing no signs at all. 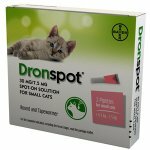 This is why we suggest worming with products such as Drontal every three months. 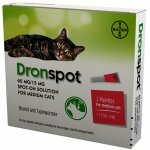 For each additional 5kg bodyweight, administer an additional half tablet. Not for use in dogs weighting less than 2kg. 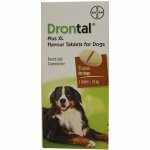 For routine control adult dogs (above 6 months of age) should be treated every 3 months. For routine treatment a single dose is recommended. 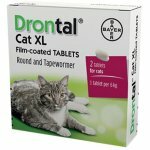 In the event of heavy roundworm infestation a repeat dose should be given after 14 days. 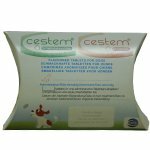 Each tablet contains: 150mg Febantel, 50mg Pyrantel equivalent to Pyrantel Embonate and 50mg Praziquantel.